Africa in Words has been taking a break over the holiday season, but we couldn’t resist taking a look back over the memorable year that has been 2015. Here, some of our Editors reflect on their highlights of 2015. We’d love to hear your highlights of 2015; please share them with us in the comments, on Facebook or Twitter. We’d also like to take this opportunity to thank all our contributors and readers, for writing, reading, commenting on and sharing our posts, and for making Africa in Words an exciting space to share ideas and conversations. where Africa39 writers Abubakar Adam Ibrahim, Ndinda Kioko, Nadifa Mohamed, Chibundu Onuzo and Nii Ayikwei Parkes were in conversation about some of their favourite books with Hannah Pool, in the African Books to Inspire panel. The run up to the event had been really exciting with writers Toni Kan, Olufemi Terry and Wanjeri Gakuru also sharing books that have inspired them on the Africa Writes website. On the night there was just this great buzz in the room as some of the contemporary writers I most admire reflected on the books that have inspired and touched them. The event was beautifully chaired by Hannah Pool who managed to bring to the evening a lovely informal and accessible tone, while steering an important intellectual conversation. Nii Ayikwei Parkes arrived fashionably late and dropped straight into that vibe. Abubakar Adam Ibrahim and Chibundo Onuzo had everyone roaring with laughter as they shared personal stories from their own reading and writing histories. And Nadifa Mohamed and Ndinda Kioko brought an almost infectious grace and sincerity as they respectively talked about titles from Dambudzo Marechera’s House of Hunger to Mariama Ba’s So Long a Letter. But what for me made the evening so important on a more personal note, was that unexpectedly it came to represent one of those moments that reinforces the decisions we make and why we do what we do. I’d been feeling more than a little bit guilty that, working as Producer of Africa Writes this year, in the two months prior to the festival my PhD had been neglected. And then as I’m sitting in the audience enjoying this event Chibundo Onuzo selects Sefi Atta’s Everything Good Will Come as one of her three ‘books to inspire’ and Ndinda Kioko selects Yvonne Adhiambo Owuor’s Dust as one of hers: two of the books I’ve spent the most time writing, thinking and being inspired by in my own doctoral work. And then suddenly for that evening the world is all okay – because I know I needed to be here in this particular moment because it is part of the series of particular moments that my PhD is trying to capture. And more powerfully than sitting at my desk on my own or giving a conference paper ever could, it reinforces the reasons why I’m trying to write it. Rebecca Jones: The highlight of my literary year was without doubt Ake Festival, in Abeokuta, Nigeria. As well as the books, poetry and palm wine, I basked in its warm atmosphere, the refreshing lack of barriers between writers and their readers, and most of all the countless interesting conversations – both within the panel discussions and in the corridors and bars outside – especially concerning LBGT and gender issues. Ideas and arguments from these conversations have lingered with me ever since. And one of the books I picked up at the Ake Festival’s well-stocked bookshop has turned out to be a highlight of my reading this year. I devoured Abubakar Adam Ibrahim’s debut novel Season of Crimson Blossoms in one sitting. 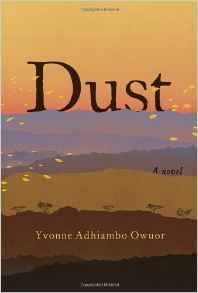 Its tale of unlikely desire between an older woman and a young man reflects on the overlap between love, age, desire, danger, death and loss in subtle ways, while at the same time being beautifully written, funny and sensuous. Miriam Pahl: My literary highlight of the year was the African Literature Association 2015 conference “Future Visions” in Bayreuth, Germany. The four-day conference in the beginning of June was full of interesting panels and people. A crowd of 400 scholars, writers and other literary people occupied the rather small village in Bavaria to talk about literature, Africa and the future. 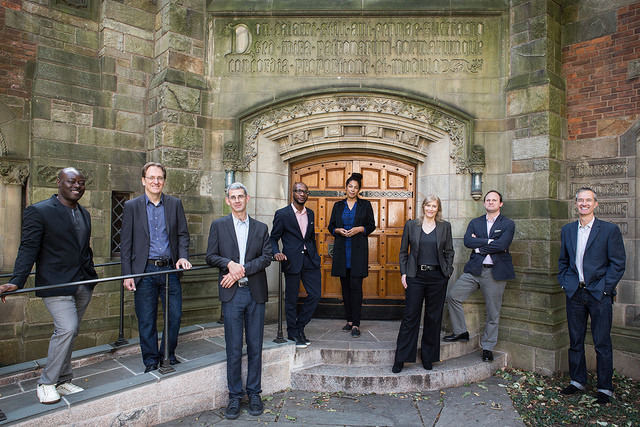 Teju Cole and Binyavanga Wainaina, amongst others, gave keynote lectures and thereby added their authorial perspectives to otherwise mainly academic discussions. In the evenings, readings and film events were offered, and many participants were to be found in the few bars and restaurants in Bayreuth afterwards until late into the night. 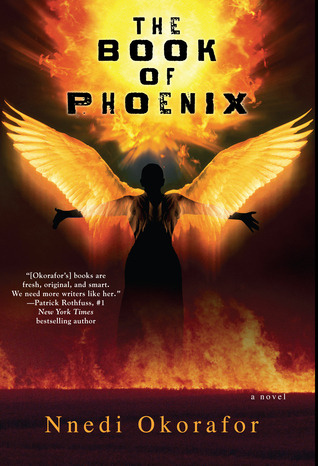 I enjoyed the presentations that discussed Nnedi Okorafor’s novels most, and to meet her in person after her reading of The Book of Phoenix. Since I had rented a private room that came with a bike I could cycle leisurely between the different places of events and make the most of beautiful weather that Bayreuth was blessed with during these days. Katie Reid: my highlight is the Windham-Campbell Prize, because I was privileged enough to be able to be there and to see the 3 African prize-winners, Teju Cole, Helon Habila and Ivan Vladislavic, speak throughout the days of the Festival: in particular, the breadth of engagements and discussion across the African authors’ panel, ‘Contemporary Africas’ moderated with vivacity and insight by Prof. Stephanie Newell; and the visual photography panel, ‘Collaborating with Reality’ which, similarly, highlighted the range and differences in the ways through which the writers – this time Cole and Vladislavic were joined by Geoff Dyer and the discussion led by the expertise of Laura Wexler – engage that most enigmatically referential of art mediums, photography across their work. I may be biased but, alongside this ran discussion and buzz around the re-release of Vladislavic’s The Folly – his first novel, published in South Africa in 1993 – and its freshness for the new sets of political contexts and geographies it emerges into in 2015. Permission to be geeky? Finding, buying and ranting about its 2015 edition by Archipelago (US) – an unusual square format – in a bookshop in NYC; there’s also a 2015 edition by UK-based indy And Other Stories. Rashi Rohatgi: Even those of us whose interests lie mainly in the area of angry poetry cannot spend years immersed in the world of Mauritian literature without thinking about romance – the nation is home, after all, to The Prince Maurice award for love stories. For me, then, post-PhD life has been a time to revisit the genre. 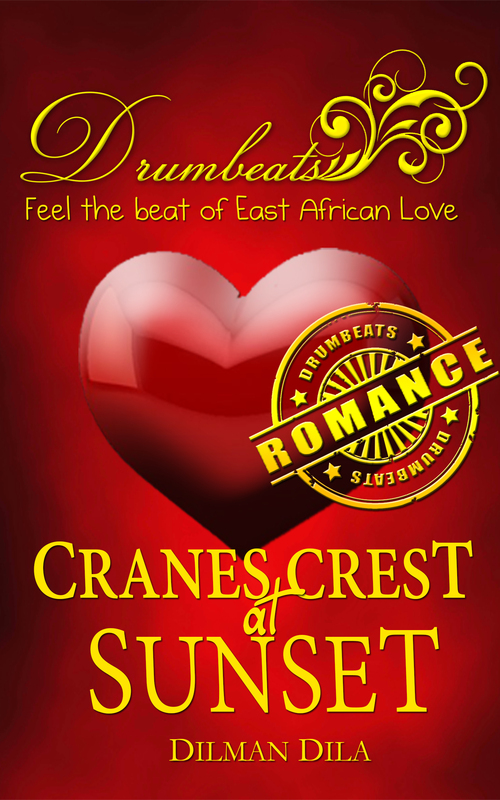 The highlight of my year was discovering Drumbeats, a romance imprint of the awesome Kenyan collective Storymoja Publishers. Their tagline – “Feel the beat of East Africa love” – pretty much says it all. So much about genre fiction is about finding the rhythm of the story, and these are tightly written, well-edited, and well-packaged. Dilman Dila’s 2013 Cranes Crest at Sunset, in which a Nepali immigrant and a local herdsman fall in love in the rainy Ugandan countryside, is my personal favourite – so far.